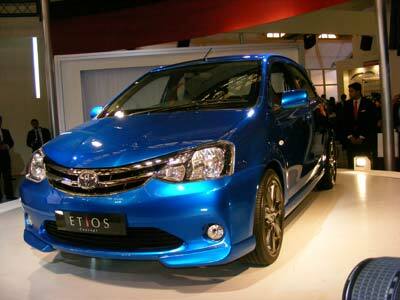 The Etios most awaited compact small concept cars by Toyota has finally unveiled in Delhi Auto Expo 2010. This Toyota car Etios range fulfills the needs of a sedan and hatchback full featured car as Toyota launched it in two versions Toyota Etios Sedan and Toyota Etios Small Car. The Etios styling is bold and simple while it aims to provide high quality,comfort and more importantly a good mileage while still being affordable. The high-rigidity light weight suspension is based around a new platform and so is the engine while the car is set to grace 10 cities in India including Mumbai, Cochin, Lucknow, Chandigarh and Ahmedabad. This global car as Hiroshi Nakagawa, Managing Director of Toyota Kirloskar says will enter the mass volume segment. Toyota had invested about Rs 3,200 crore to set up its second manufacturing facility in Bangalore to bring out the car on roads by early 2011.